The Bookstore at Fitger’s is a full-service, locally owned, independent bookstore located in the historic Fitger’s mall, connected to the historic lakefront hotel of the same name. Fitger’s mall offers Duluth visitors an intimate shopping and dining experience and we are proud to be a piece of that experience. 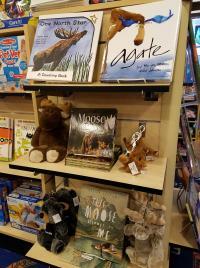 Our collection of books features the history, cultures, nature, lifestyle, cuisine, activities, and folklore of our locale –Lake Superior, the north shore, and the Northwoods of Minnesota and Wisconsin. In addition to regional titles, we offer carefully selected fiction and non-fiction titles of interest to residents of the area as well as the many visitors who choose to spend their precious vacation time in the Duluth, MN area. We carry a selection of quality gift items with a regional flavor, as well as Fitger’s branded merchandise, toys, candy, and specialty items. You can find us on the first level of Fitger’s mall. We invite you to come in and browse. If we don’t have what you are looking for we can either suggest an alternative item or special order the title that you want. Check out our Events calendar and follow our Facebook page to join us for author readings, book groups, special shopping events, and other events that will add literary flair to your Duluth experience. Stay informed with Bookstore happenings by following us at either The Bookstore At Fitger's on Facebook or @FitgersBooks on Twitter.